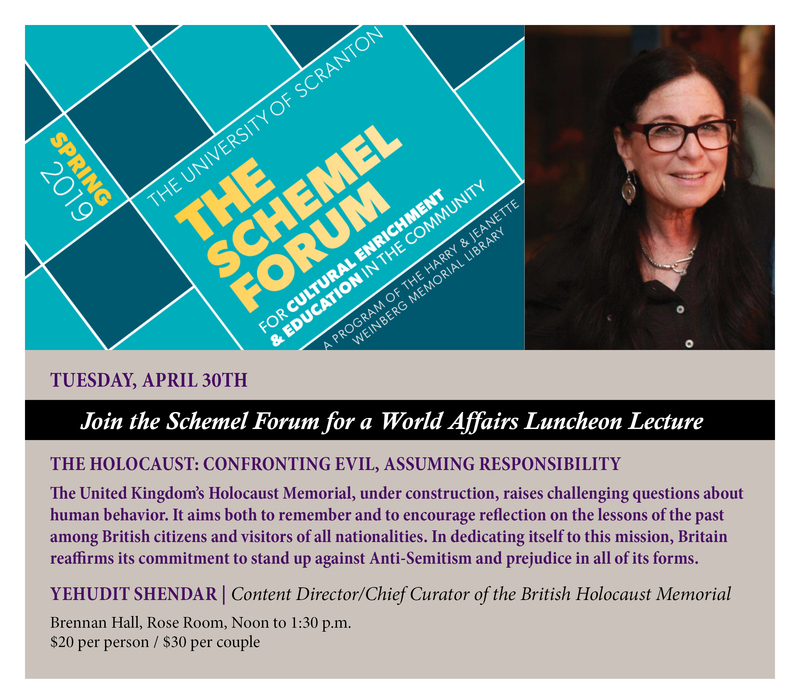 For more information on upcoming Schemel Forum events, click here. Passionist Exhibit Reception on Monday! Leave a comment on Passionist Exhibit Reception on Monday! 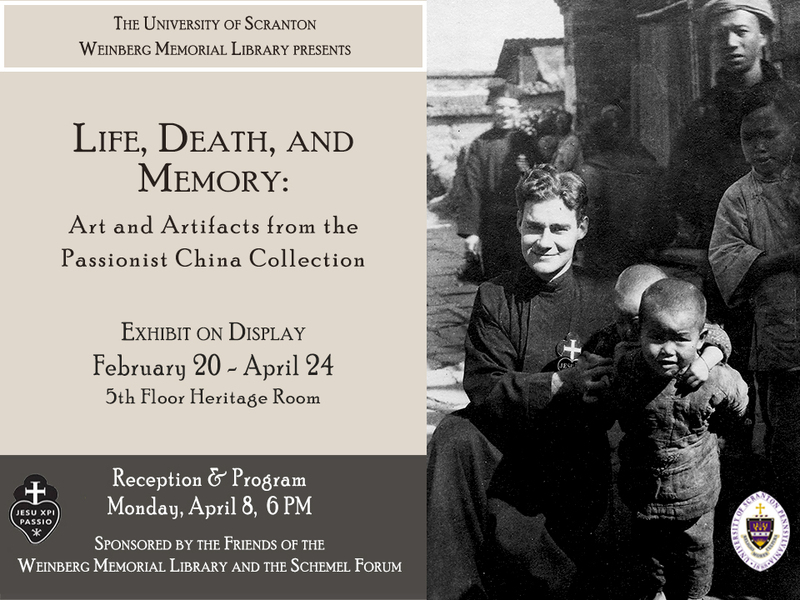 This coming Monday, April 8, from 6-8 p.m., the exhibit reception for “Life, Death and Memory: Art and Artifacts from the Passionist China Collection,” will be held in the library’s Heritage Room. Passionist priest and historian Father Rob Carbonneau, C.P., Ph.D., will give a lecture dedicated to remembering the Catholic witness of faith in China and especially honoring the memories of three Passionist priests who were martyred there in April of 1929. 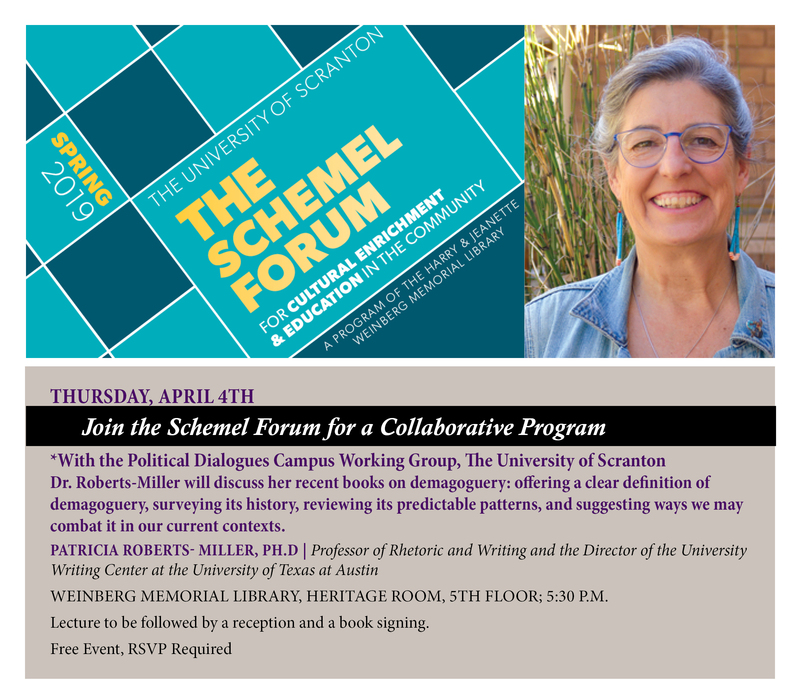 The event, generously sponsored by the Friends of the Weinberg Memorial Library and the Schemel Forum, is free and open to the public. 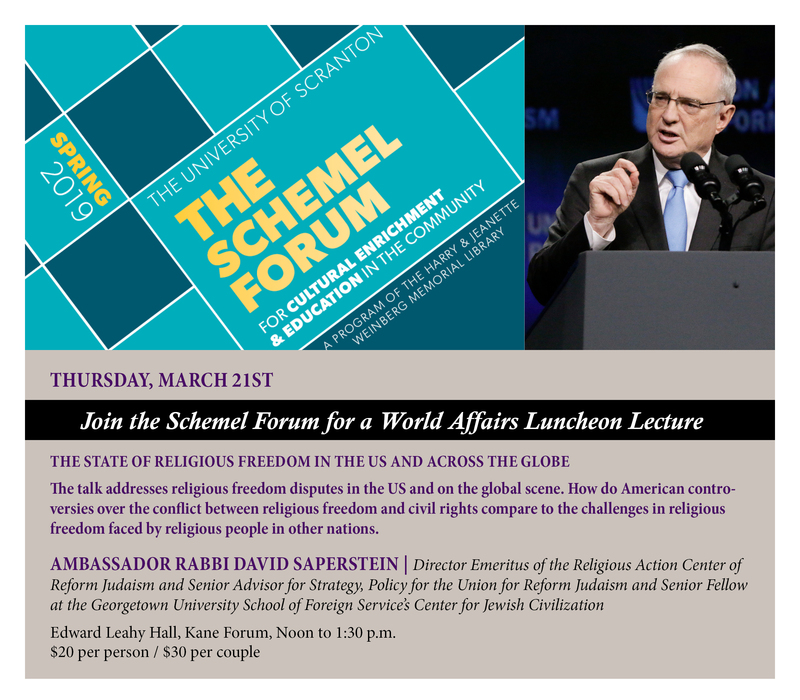 For more information, please contact archives@scranton.edu or call 570-941-6341. 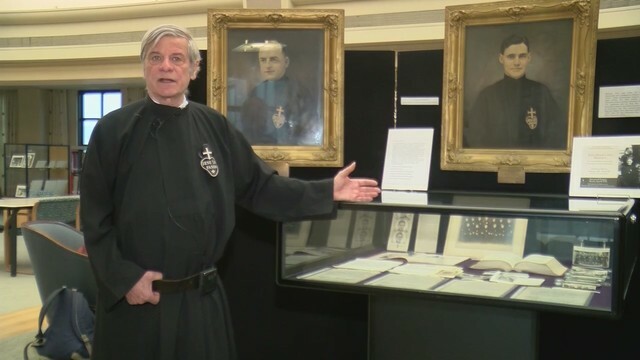 WYOU recently interviewed Father Rob Carbonneau, Passionist Historian and Adjunct Professor of History, concerning the new Passionist exhibit currently on display in the Heritage Room. Watch the interview here! The exhibit, titled “Life, Death, and Memory: Art and Artifacts from the Passionist China Collection,” will be on display during normal library hours until April 24. On Monday, April 8, at 6:00 p.m. in the Heritage Room, Father Carbonneau will give a lecture focused on the Chinese Catholic witness of faith and honoring three priests who were martyred in China. 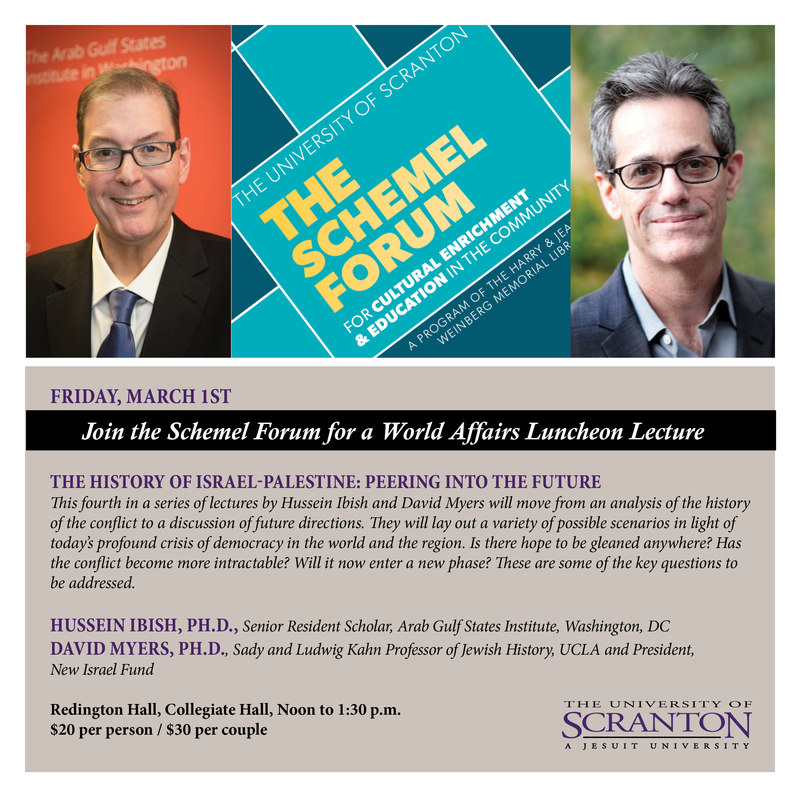 The reception is free and open to the public – don’t miss it! 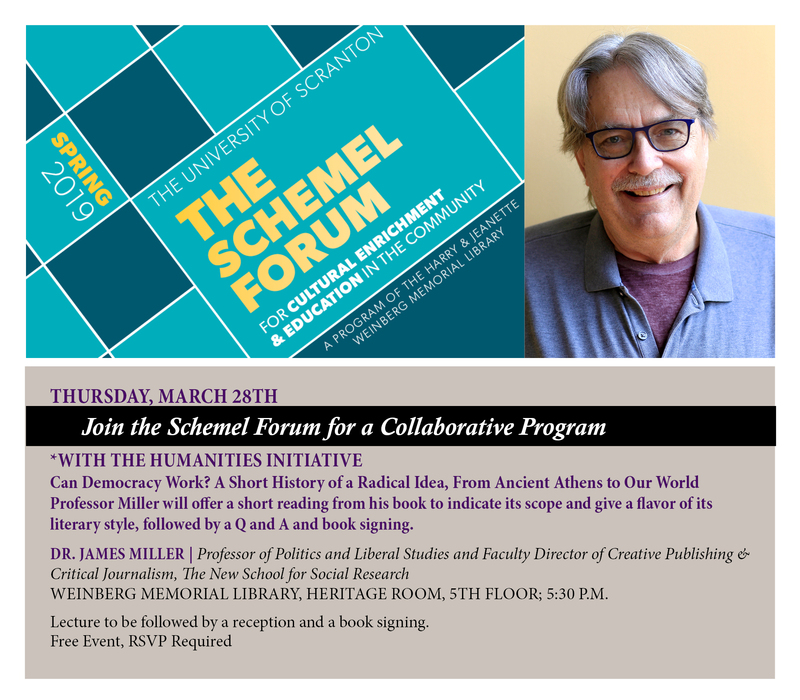 For further information, contact Special Collections Librarian Michael Knies at 570-941-6341. Passionist China Collection Exhibit Now Open! Leave a comment on Passionist China Collection Exhibit Now Open! This April marks the 90th anniversary of the deaths of three Passionist Catholic priests at the hands of bandits in China. The priests had come as missionaries to Hunan province, and their murders shocked American Catholics, U.S. diplomats, and the Holy See. A new exhibit in the Heritage Room, titled “Life, Death, and Memory: Art and Artifacts from the Passionist China Collection,” honors the martyred men as well as the service of the many other Passionist priests and Sisters of Charity who worked in the region from 1921 to 1955, when the last missionary was expelled from Communist China. They served through famine, flood, and war, and witnessed both incredible suffering and hope. Ultimately, they left a legacy that continues to the present day, inspiring a new generation of Chinese Passionist priests. The exhibit will be on display until April 24 during normal library business hours. There will be a reception and lecture, by Father Rob Carbonneau, C.P., Ph.D, and Passionist Historian, on Monday, April 8, at 6:00 p.m. in the Heritage Room. 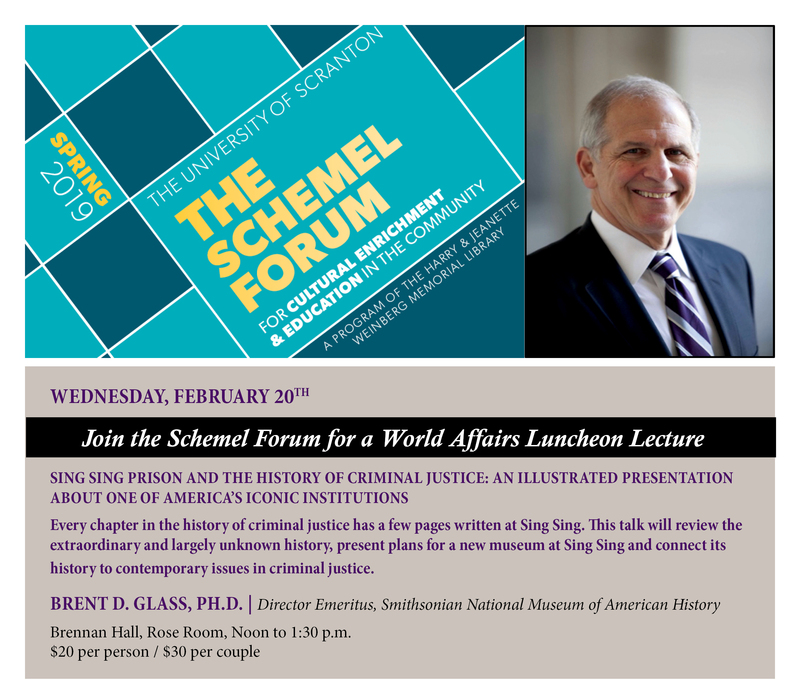 The lecture will focus on remembering the witness of faith of the martyred priests, and the larger story of the Chinese Catholic witness of faith. The reception is free and open to the public. For further information, contact Special Collections Librarian Michael Knies at 570-941-6341. 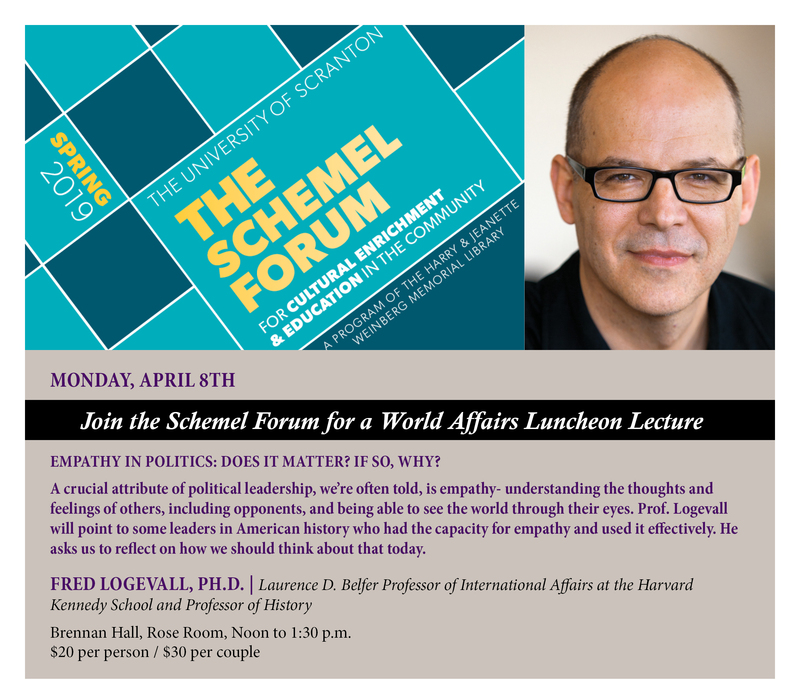 Schemel Forum World Affairs Luncheon Seminar- Brent D. Glass, Ph.D.
Leave a comment on Schemel Forum World Affairs Luncheon Seminar- Brent D. Glass, Ph.D.